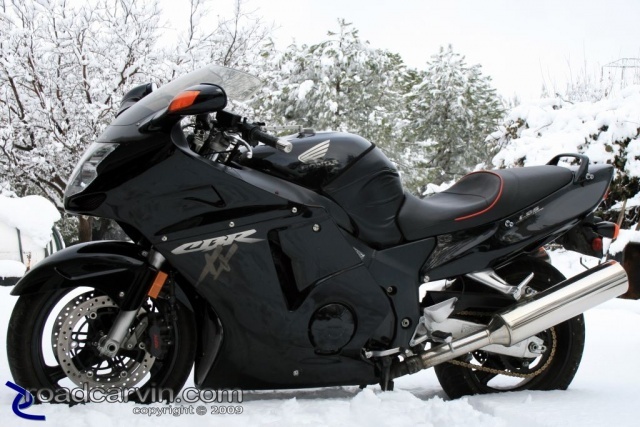 A 1998 Honda CBR1100XX sits in the Northern California snow, waiting for global warming. Submitted by Michael Curry on December 9, 2009 - 10:13am. Sharing this photo on your web page? For more information, see our image linking guide. Michael has been riding street motorcycles since 1975. He's owned and ridden everything from Hondas to Harleys with a preference for spirited sport-touring riding. Michael is a Roadcarvin.com co-founder and serves as chief editor, scribe, staff photographer, and other things.